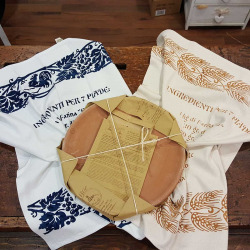 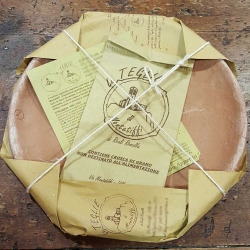 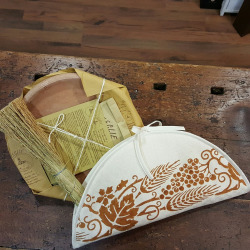 Original Monteiffi baking tray in cooked terracotta + dishcloth with handmade piadina recipe with the original romagnole prints. 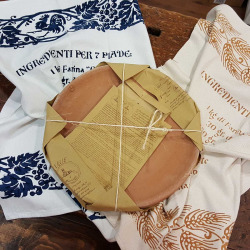 Real recipe for the piada romagnola, in various colors. 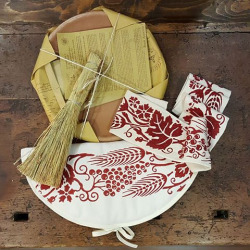 Dishcloth printed by hand by craftsmen. 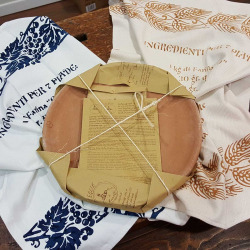 The instructions manual and the bran bag for the first ignition are supplied with the pan.